RE Team performed the Precast Slab Load Testing to monitor the structural condition of a school in Phuket. 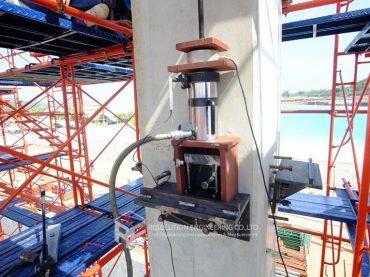 RE conducted the Structural Assessment (including rebound hammer and Ferroscan) and the Load Carrying Capacity Test on the roof top of a 4-story hospital in the Ubonratchathani province, Thailand. 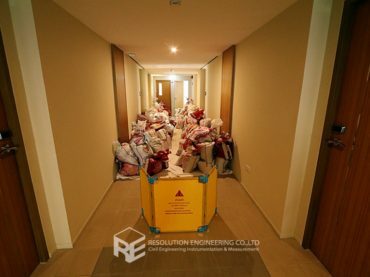 RE was requested to conduct floor load testing in hotel at Chon buri province, Thailand to determine the actual load carrying capacity compared to that specified in the original design. A building under construction experienced cracks on its post-tensioned slab. The structural capacity was questionable for a designed live load of 400 kg/m2 and a super imposed dead load of 250 kg/m2. Thus, a load test was conducted to determine the actual floor capacity. 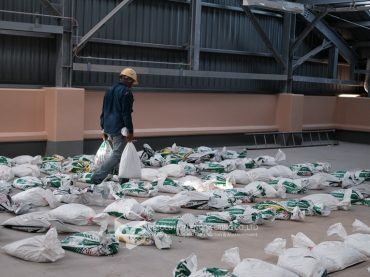 RE conducted a load test on a ground slab in a factory on Suksawat road, Samut Prakan. 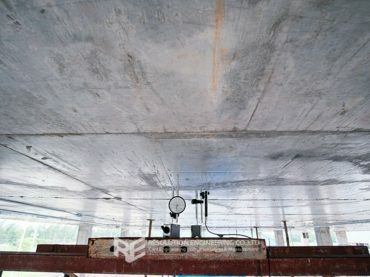 In the design point of view, a ground slab is normally designed using the linear spring distribution support assumption. 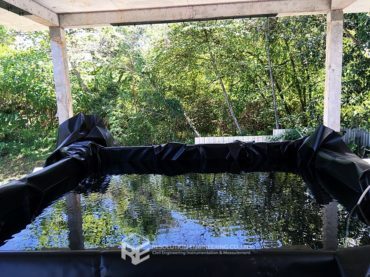 However, in reality, a ground slab often experiences nonlinear behavior. 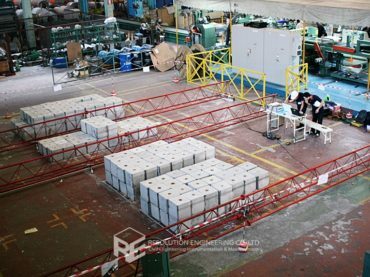 The slab on ground load test project was deemed necessary when there was a plan for new production line machines to be installed. The roof structure of a meeting room was insufficient for a new ceiling load requirement according to the FEM analysis. 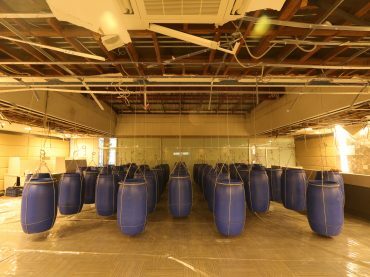 Thus, strengthening solution was provided, and a load test was carried out to verify the safety of the structure as this is a very important meeting room of an international organization. RE team conducted a load test in a factory in the Bangpa-In Industrial Estate. 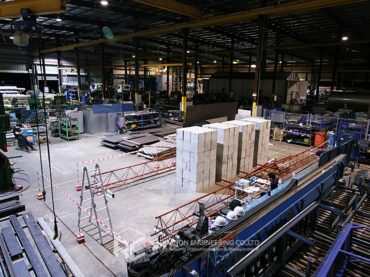 The factory planned to install new heavy machines, and they are required to check the floor capacity prior to the installation. Structural renovation has become more and more common in recent years. 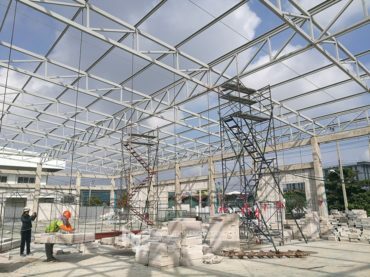 Due to the high concentration in urban areas, most land has already been occupied by existing structures which later on may be renovated for different uses. However, due to deterioration over time or lack of maintenance, many existing structures may not be in a good condition for renovation which can then raise safety concerns. Thus, a load test is deemed necessary. The Pull Out Test is one of the methods used to inspect an anchor’s load carrying capacity. This test determines the tensile strength capacity. 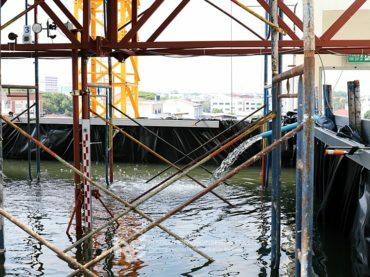 The tested load will be applied in the parallel direction to the anchor using a hydraulic pump with a load measuring system. Displacement of the tested anchor is measured by a displacement transducer which shows real-time data. The Pull Out Test conducted by RE complies with the ASTM E488-10 standard.